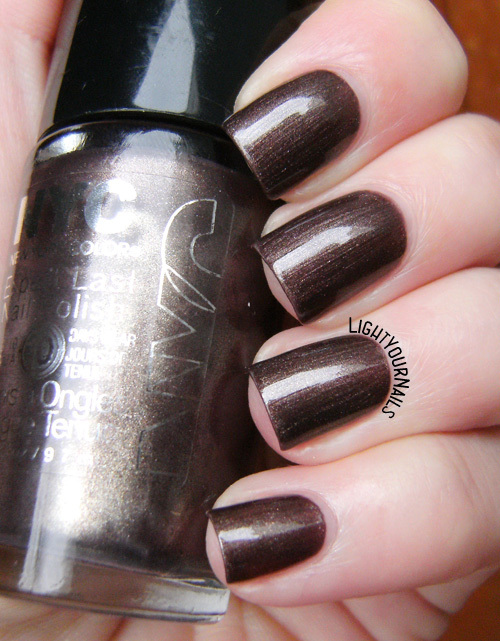 ABC challenge: NYC Leather and Mink | Light Your Nails! Penso che i segni delle pennellate lo rendano più particolare, sembra legno! In effetti ci si passa sopra volentieri perchè è molto bello, se piace il colore! Quite a different and interesting shade! Those brush strokes are actually adding an artistic look to the shade! I love it! Ahhh anche io marrone dovunque!! I'm not a big fan of brown on my own nails, but I'm starting to like it. I think this polish was pretty nice. This is a great review - your results were amazing despite what sounds like a slightly difficult formula. Well done! I love brown on my nails! It's such a great colour! I love the shimmer and the purple undertones in this polish-- makes it unique! Too bad about the brushstrokes, it's a great colour! I love browns. Although I don't think I wear them much. But when I do, I love them. They have a natural and classy look. And NYC is one of my favourite budget brands! Most of their nail polish is really good. I agree! They are cheap and pretty and they act very good most of the time! 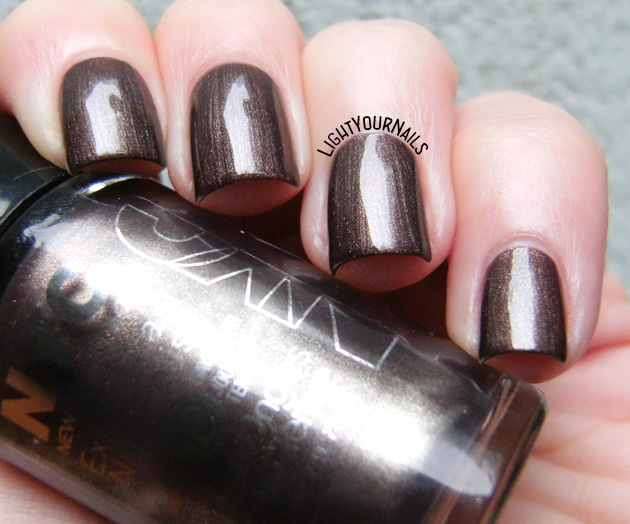 I'm not huge on brown polishes but this is pretty. :) I love how you did the comparison on one nail! Drives me nuts when a gorgeous color has brush strokes! It looks amazing on you though! Thanks! Yes, it's so annoying.